And...now the writing is officially completed! In my last update I exclaimed as much as well...consider that post a false alarm of sorts, as while editing and revising I realized that another chapter was indeed needed to complete my thoughts and bring the book to a close. I mentioned strength training quite often throughout, and thought the work incomplete without devoting a chapter specifically to strength training for sprint swimming. The goal was to capture and summarize my strength thoughts and theories from throughout the book, and to expand said thoughts with a bit more detail as well. Surely a book on power training for swimming would be incomplete without a section that addresses the weight room! Chapter 2: Power Tower or Power Rack? The book comes in at 234 pages in a 6x9 format, with some 67,000+ words, 17 illustrations, and nearly 100 example power sets. 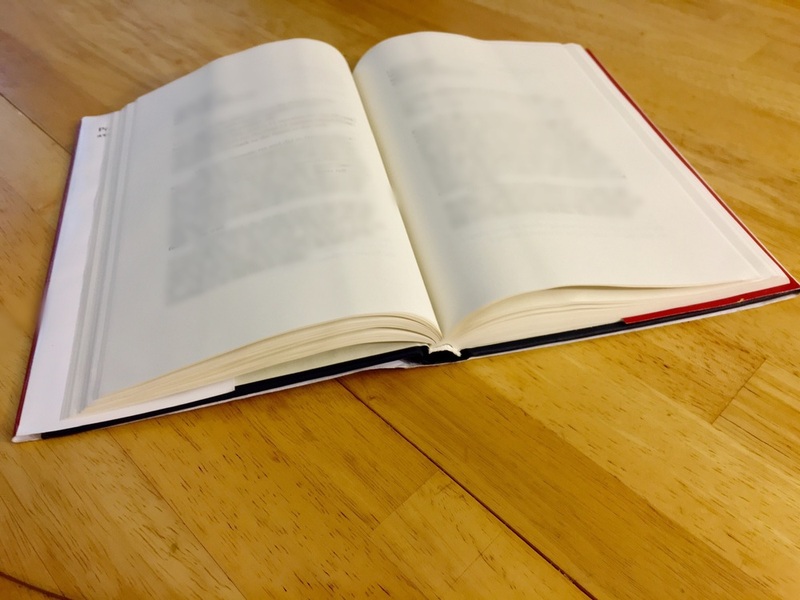 Prior to writing the chapter on strength training I produced a hardcover copy test model, and as you can see, it is a nifty little book that feels sturdy in the hands and features a bit of weight in the process. As I have not yet found a title that grabs me, please disregard the "Power Tower" working title. If anyone has a suggestion, I am in the market for good ideas! The next stage is final professional editing/formatting, professional cover design, and a second hardcover proof for final approval. After the last T is crossed and I is dotted, I will send the words away for mass printing. I decided to self-publish through lulu.com, and will sell the book here on my website and also through Amazon. I do not yet have a print number in mind as I did not take pre-orders, but I will err on the side of printing too many instead of too few. The information contained within, while not 100% timeless, will be as relevant 10 years from now as it is today. September is still the target for launch, as I aim to inspire as many coaches and athletes as possible with new ideas and concepts before power and resistance work picks up for many of us in October/November. What will happen in Rio will also leave coaches with many thoughts, questions, and ideas on how to improve speed, and Rio combined with this book launch should make for an introspective September/October in the swimming world indeed.